Ants are crunchy. Crickets are nutty. And spoiler alert: scorpions are uncharacteristically salty. 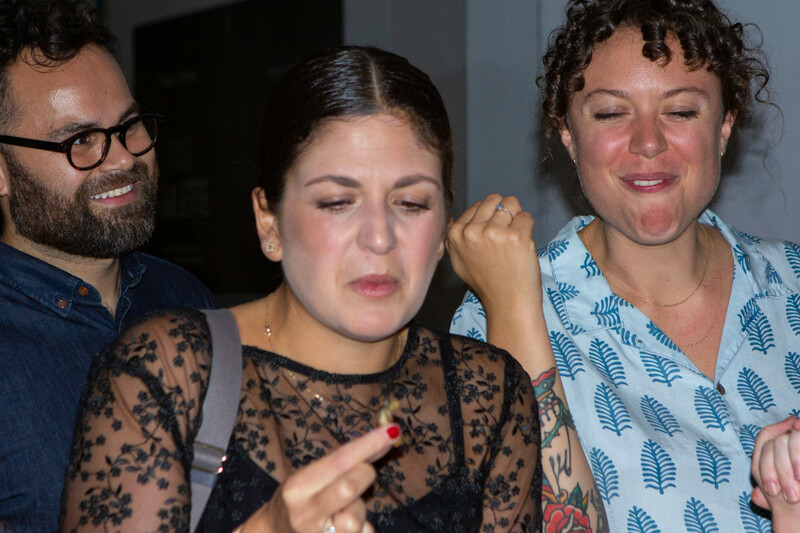 Before we get too far down the reminiscent taste road, let me tell you how I got to this point of eating bugs in a black semi-formal long skirt at the Smithsonian Network’s Bug Bites event. Back in July, Joseph Yoon was the guest on Why Food?. 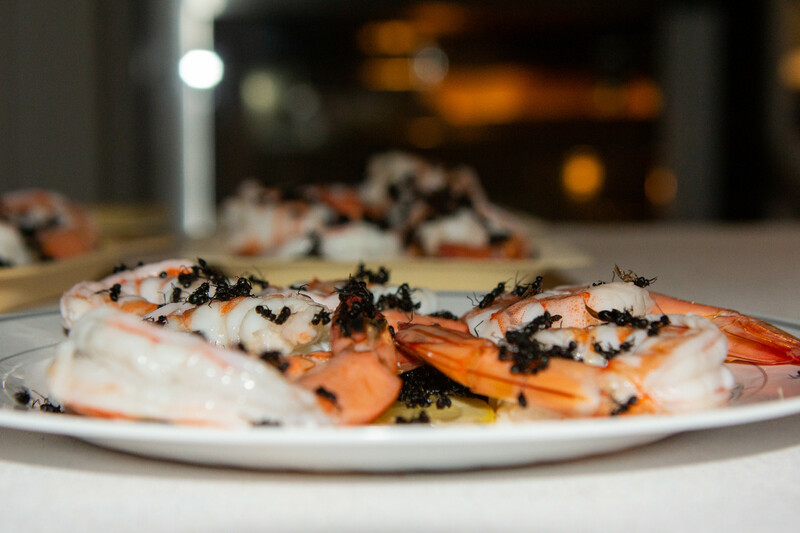 He’s the founder of Brooklyn’s Yummy Eats catering company and last year’s first bugs culinary event. He was the mastermind of the night’s insect-ty goodness. In the back of the stark white gallery, occasionally punctuated with greenery and tasting centers, was Yoon. He was wielding an exceptionally sharp knife as he casually chopped up fried tarantula bodies, squirted them with lemon, and then handed them out to expectant and nonplussed guests. 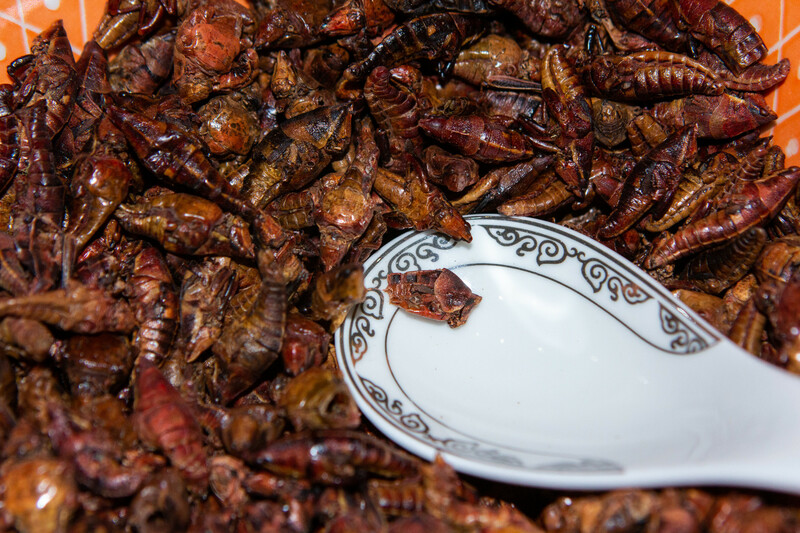 The Smithsonian Channel sponsored the event; in part to promote its short-form cooking series that explores the worldwide art of cooking bugs called Bug Bites. Yoon, along with David George Gordon, Omar Rodriguez and Megan Miller, is one of their featured chefs. I hate to break it to you guys, but a solid 30 percent of the world’s population consume bugs as part of their everyday diet. Technically, us North Americans (and some Europeans) are the only ones left that haven’t gotten over the ‘yuck factor’. 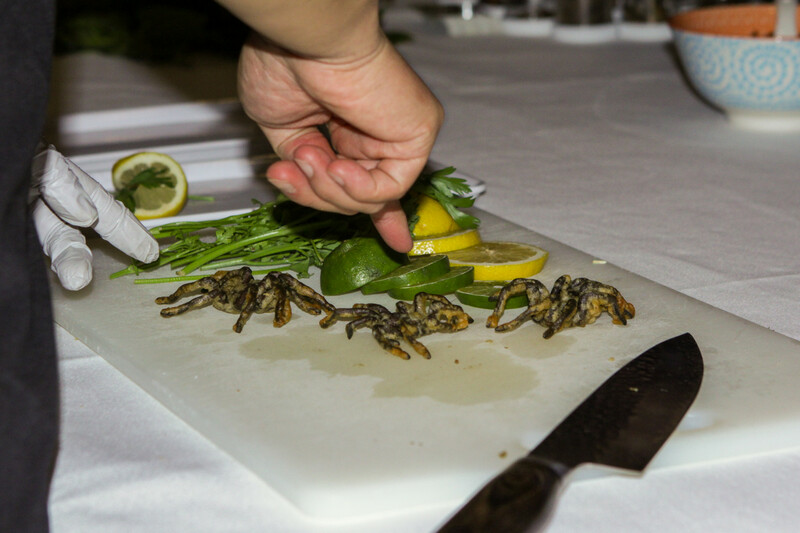 Certain insects, such as crickets, mealworms, and black soldier fly larvae, are exceptionally high in protein and nutrition. Thomas Reuters, an innovative news agency, published an article on how alternative insect protein was in such a high demand globally that even the McDonald’s corporation is interested in getting in on it in the future. ariama long bug bites bugs David George Gordon Joseph Yoon Megan Miller Omar Rodriguez Smithsonian Why Food?